In California, “Assault with a Firearm” is charged under Penal Code 245(a)(2) pc. This offense is a wobbler which means you could be charged with either a felony or misdemeanor. Simply put, this charge requires that you made an unlawful attempt, coupled with the present ability, to commit a violent injury on another with the use of a firearm. Furthermore, the government may allege a “firearm enhancement” on top of your underlying charge which will greatly increase your prison exposure. The following article will address 7 important things you should know about charges of assault with a firearm. 5. You were not acting in self-defense. Willful Conduct: Assault with a firearm requires a willful act against another person. Therefore, if you did not act willfully and instead your conduct or act was done on accident, then you cannot be convicted of this offense. For instance, dropping a firearm on the floor and it shot and struck your accuser. Self-Defense: Claiming you acted in self-defense is viable if you reasonably believed you acted to prevent yourself or someone else from injury against your accuser. For example, you pointed a gun at someone who was carrying a knife threatening you or a family member. Mistaken Identity: You were not the individual who committed the alleged offense. Instead, you’re the actual victim by mistaken identification. Factors associated with mistaken ID include, but are not limited to, cross-racial identification, poor lighting, or mental disorders. Illegal Search & Seizure: The police must be armed with reasonable suspicion to detain you, and must have probable cause to conduct a search of your person, vehicle, or home unless you give them permission to search. If law enforcement commits a violation of your search & seizure right under the Fourth Amendment, the judge will deem the firearm inadmissible, and the government may not be able to proceed with their case against you. Miranda Violation: Your incriminating statements can sometimes be the most damaging evidence against you. For instance, you could admit to the crime corroborating your accuser’s accusations, admit that you acted willfully, etc. However, if you were subject to custodial interrogation without being admonished of your Miranda rights, the police may have violated your rights and the judge may order your statements suppressed. False Accusation(s): You could be subject to prosecution via false accusations from someone with a known or unknown motive. For instance, your former spouse could be falsifying a case against you for divorce benefits, revenge, or to gain full custody of your children. The punishment for this offense can be severe if convicted. 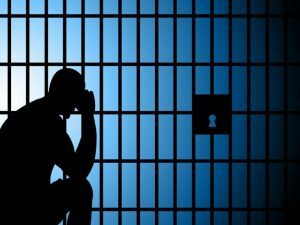 A felony conviction carries a state prison sentence of 2, 3, or 4 unless the court grants you probation. A misdemeanor conviction carries up to 1 year in the county jail. However, by statute, you must be sentenced to a minimum of 6 months in the county jail. As noted above, the government may additionally allege a “firearm enhancement” which means you may face an additional 5, 6, or 10 years to run consecutive to your underlying assault charge. If alleged and proved, your maximum exposure would be 14 years in prison. 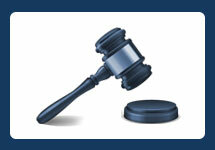 Whether you’re convicted of a felony or misdemeanor, you additionally face a fine amount of up to $10,000. However, a skilled criminal defense lawyer may be able to negotiate with the government so that you may plead to a reduced charge which will not carry such severe penalties thereby avoiding jail time. Furthermore, a conviction for this offense carries a life-time ban on your ability to own or possess a firearm. • The reason you’re seeking reduction – e.g., military, employment, immigrations, etc. PC 1203.4 governs expungements in California. To obtain an expungement for Assault with a Firearm, you must be finished with your probation period. An expungement requires a specific petition to be filed with the court and the prosecuting agency must be served within the notice period. A hearing will be held and if the court grants your petition, the conviction will then be ordered dismissed. For more information about expunging your criminal record, contact the Law Offices of John D. Rogers. 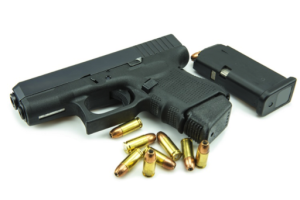 If you’ve been arrested or charged with assault with a firearm under PC 245(a)(2), contact an experienced Orange County Criminal Defense Attorney at the Law Offices of John D. Rogers for a free consultation about your rights and defenses.